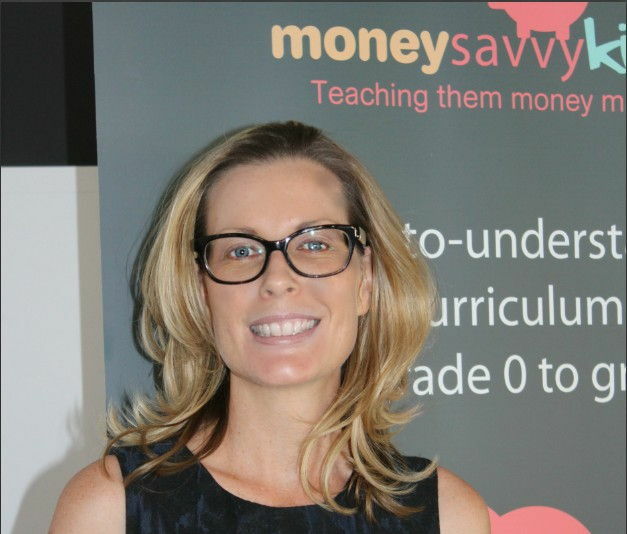 Kathryn Main is the CEO of Mainmultimedia and Money Savvy Kids. She started her first business in the beauty industry at the age of 22. After leaving the beauty industry, Kathryn quickly climbed the corporate ladder. This invaluable experience in the advertising and sales industry, saw Kathryn move into all areas of advertising where she worked in TV, Radio, Print, Mobile and Digital media. She is a devoted mother of three. In this interview she talks about her money habits and shares advice on how to manage your money. Tell us about your book, Raising Money Savvy Kids. What inspired you to write it? As I have been building this business and brand, it became apparent through our research and many conversations with parents that money is a taboo conversation in most households. I wanted to give them the courage and tools to start having money conversations with their kids. It’s a practical tool for parents to teach and do financial activities with their kids. We have broken the chapters up into ages from 4 – 14 and what to teach kids of those ages. Socially responsible investing, what does it look like for you? We are a registered NPO. We do work with corporates to financially educate certain communities. Our training has a big focus on entrepreneurship. We are rolling out a great programme in Limpopo for 6 months from Feb 2018. We also do free train the trainer programs for unemployed youth and woman over 50 to become the MSK trainers in our schools. Why do you think parents have such a hard time talking about money with their kids? Everyone has a belief system about money and a money blue print. If one of those values is that money matters are private, they would not discuss it with their kids.Parents have said this to me a lot. Its none of their business how much money we make and have. We need to start changing our mindset and sharing our budgets with our kids. That way when we say we can’t afford it, they know we are telling the truth and stop nagging. What do you think is the biggest mistake parents make when teaching their kids about money? Teaching them what they were taught. Money making, spending and banking has changed so much in the last 20 years and will evolve again over the next 20. The principals taught to parents will not be current when their kids are adults. Keep current. Parents are the biggest financial influencers; they need to be good examples. What is the best age to start teaching kids about money? Money in the jar lesson. I had a jar full of R2 and R5 coins. When I was encouraging my then 4-year-old son Logan to become more independent I would incentivize him with money. The coins made up R200 that was the total sum of his pocket money for the month the same as his bigger brothers. If he did not pack lunch or was not ready for school on time R5 came out of the jar. There were chores like feeding the cat and cleaning the dog mess up to work that money back. At 4 years old Logan got his R200 every month. What is the best lesson you've taught your own kids about money? I have taught them having a singular income is not a good idea and to look at multiple ways to earn an income. I have also taught them about the different types of income and that creating passive income is the best. My kids are crypto currency miners and do modelling work and are working on a YouTube channel. Show them young how to make and manage money, how to mitigate risk with investing with small amounts of income and keep them learning what’s new in the world. Expose them to as much as you can. If you could go back in time, what would you have re-taught your older kids about money? My oldest was 10 when he started asking questions and we started with him then. Teaching delayed gratification and a saving culture is harder with him. I wish I had taught him to save for a goal first. Do you have any financial rules or guidelines you follow in managing your family’s money? Yes of course! We have a monthly budget for food and entertainment that we stick too religiously. We all know what’s in the budget and we decide together how we spend that entertainment budget. Chores are not paid for. As a member in this household all our kids have chores even with a full-time helper at home. What advice do you give to parents on raising financially responsible children? Don’t be scared to let your children make mistakes now while they are younger. Making mistakes is the best way to learn. Talk to them about your current financial situation so they understand it. Help them to start thinking about making their own money and entrepreneurship. Creating that mindset now will set them up for success in the future. I spent everything I made, had no savings or investments and was bankrupt and in debt by the time I was 30. When you don’t have money and you are told money does not grow on trees all the time, when you do have money you feel the need to spend it. I spent without even thinking of the consequences. The negative statements I heard repeatedly gave me a negative attitude towards money. I never respected it. In this economic climate, have your family downsized? Yes, last year we're evaluated our finances and realized we were paying too much in insurances. We saved R 5000 by looking at this. We cut costs during the year on other expenses too like our entertainment budget while we saved money for January back to school for our three kids. When your money situation changes the first thing you should do is look at how you can cut expenses. What are you doing to remain positive about your financial well-being during these economic tough times in our country? I have also diversified my income streams. I have developed a new product called Wellness Assets with well known Author, life coach and TV reality star Paula Quinsee. I have started new investments in crypto currency, and I read all the time to keep myself up to date with the news. I have me time and run 25km a week. That’s my time to give myself my pep talks about staying positive. This is different for everyone. Being in a situation where you don’t have daily or monthly financial struggles. An emergency fund at hand if needed, savings and a diverse portfolio of passive income. How do you let go and move forward from the mistakes you make with money sometimes? Look at the lesson your learned from those mistakes and learn from them. Every failure is an opportunity to learn from your mistakes. Which is better: buying a home or investing in shares, and why? I would not say that one is better than the other. Investing in a home can bring much personal satisfaction as well as being an asset when paid for. Both have risks. Share prices drop and so do property values. Have a diverse portfolio of assets or passive income. What’s the worst money mistake you’ve ever made, if you’ve made any? What did you learn from it? I gambled my rent at a casino. I lost and could not pay my rent. The lesson I learnt was to never do that again. It was a terrible few months as we played catch up. I bounced a cheque knowing I had no money in my bank account. In my 20s, I had a bad credit score for 12 years of my life. It made getting credit for the things I needed like a house and car very difficult if not impossible at the time. Do you have a financial adviser, or do you prefer to do it yourself? Why? Yes, I do have a financial advisor. I have had the same one for 20 years. He is more of a business mentor now than anything. I have other advisors too. My network of female entrepreneurs and my new age crypto currency mining team. Do you have rules for lending money to friends or family? The rule is I don’t lend money. Too many ruined relationships and resentment comes from this in the past. I get very uncomfortable when people even ask. What common mistakes do you see women making when it comes to their personal finance? Allowing their husbands to manage the money and make all the decisions. Not setting up a proper budget and over spending are the common ones I have seen. What can women do to set themselves up for their financial future? Passive income through multiple revenue streams. Look at how you can diversify your income. Look at creating online content that is annuity income. Even if you are employed full time you can still make passive income. Don’t be scared to look at new ways of making money. Secure yourself and your future. If you would like to buy the Raising Money Savvy Kids E-book for R50, click here. You can learn more about Kathryn via: Facebook, Twitter, Instagram and LinkedIn.